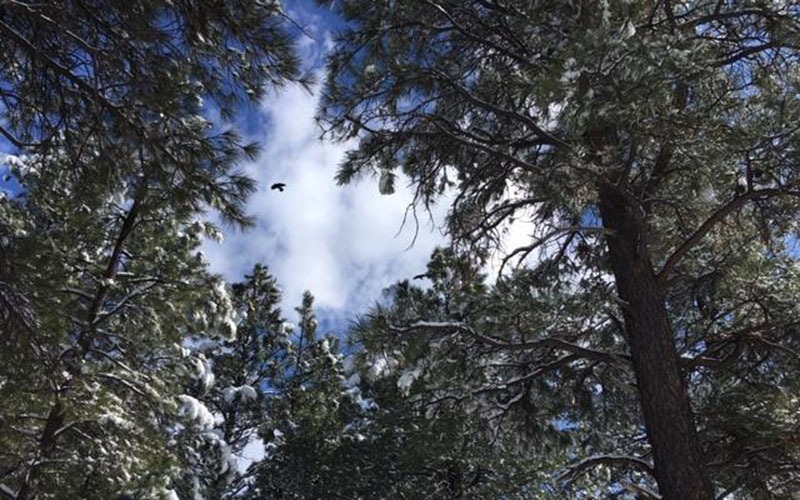 FLAGSTAFF – The decision to cut more than 1,300 old-growth trees last summer in an eastern Arizona forest has been criticized for breaking trust with the thinning project’s backers. The rebuke comes at a time when forest management is receiving national attention for its role in preventing catastrophic wildfires, such as those last month in California. The Forest Service cut the old trees in the Apache-Sitgreaves National Forest for fear of losing more of them to dwarf mistletoe, a parasitic plant. But only 6 percent of the trees sampled were infested, according to data collected by Joe Trudeau with the Center for Biological Diversity and the Four Forests Restoration Initiative. The Four Forest Restoration Initiative is a partnership that includes the Forest Service, the Arizona Game & Fish Department and the Grand Canyon Trust. The goal is to restore 2.4 million acres of ponderosa stretching across northern Arizona from the Grand Canyon to the New Mexico line. The Center for Biological Diversity dated some of the harvested trees at 200 to 300 years old, said the letter, which also noted scientific support for retaining old-growth trees because they benefit wildlife habitat, increase genetic diversity and potentially improve fire and climate resiliency. Best said the Apache-Sitgreaves officials are working on recalibrating to make sure crews are more careful about cutting old trees. CORRECTION: A previous version of this story included misinformation. The article misspelled the reporter’s name in the byline. The story here has been corrected, but clients who used earlier versions are asked to run the correction that can be found here.